The perfect bedding set for any fan! 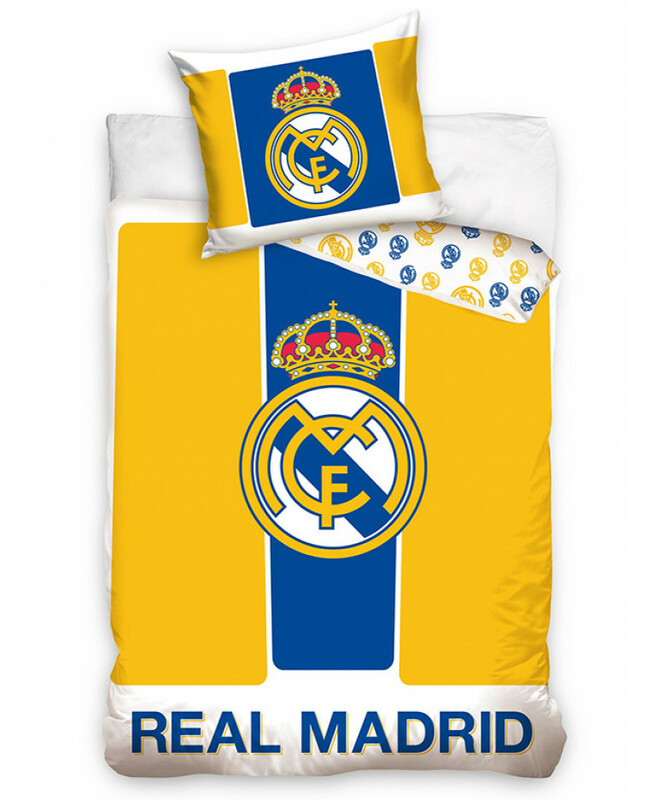 This Real Madrid single duvet cover is the perfect bedding set for fans of all ages. 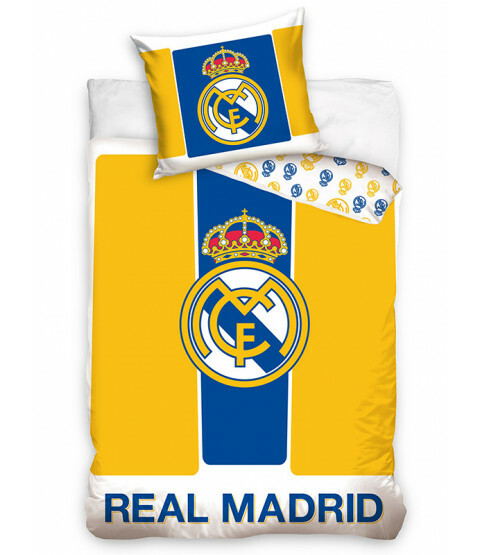 The reversible duvet has a wide blue stripe running down the middle of a yellow background, with the club crest in the centre and Real Madrid written across the bottom. The reverse has the club crest in yellow and blue in a repeat pattern on a white background. Made from 100% cotton, the set can be machine washed and tumbled dried on a low setting.